The fabric of the tunic is block printed handloom cotton. These days when I see these type of printed material, I can’t wait to embroider over the printed patterns. [this started after learning chicken scratch from stitch explorer challenge] But back then 2006, it was just a printed material. 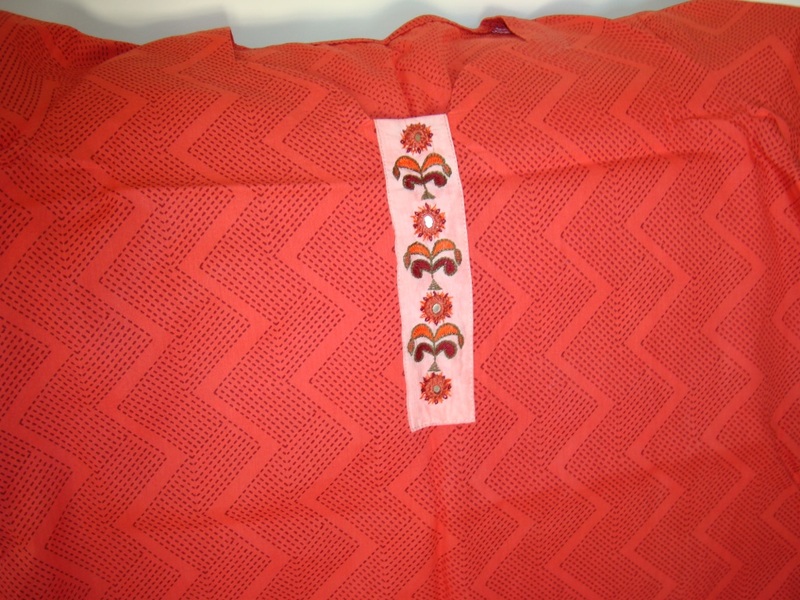 Generally, I tend to do Indian embroidery on tunics. Because,all my inspirations started from seeing Indian embroidery forms. This is no exception. This kind of embroidery is from Gujarat& Rajasthan. The pattern was a very simple one. I used contrast colours to make the embroidery look bright. mirrors were also stitched to get the right effect of the ethnic embroidery. I just played with fly and detached chain stitches around the mirror stitch. 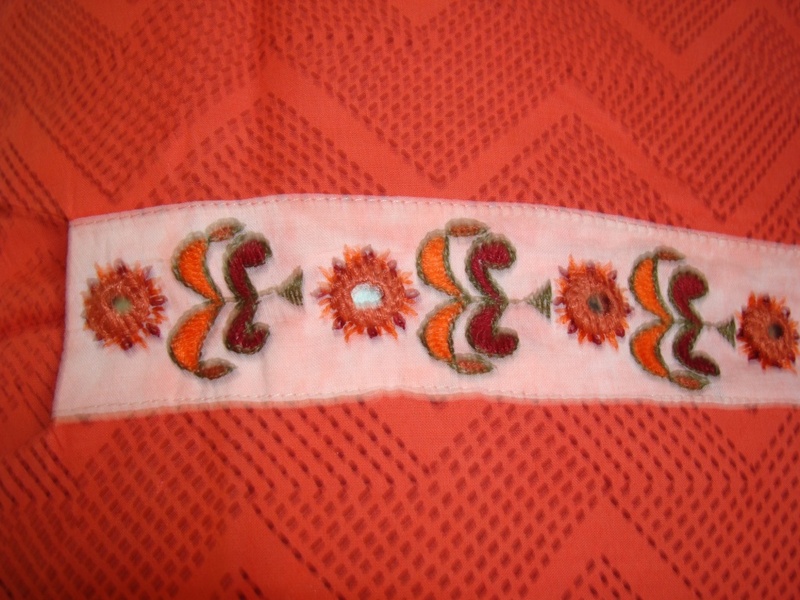 The main stitches were- herringbone, and back stitch for outline. Even after all these years the fabric keeps running colors, but surprisingly the tunic colour hasn’t faded at all. This type of embroidery in bright colours are easy and finishes fast.Always helps to have this kind of patterns during designblocks. They are also very inspiring. It is also a fact that these embroideries provide livelihood for many women in Gujarat and Rajasthan.